The German government urged the public on Tuesday to temporarily stop using Microsoft Corp's Internet Explorer following discovery of a yet-to-be repaired bug in the Web browser that the software maker said makes PCs vulnerable hacker attacks. "A fast spreading of the code has to be feared," the German government's Federal Office for Information Security, or BSI, said. The BSI recommended that users access the Internet using alternative Web browsers until Microsoft's security update becomes available. Microsoft said on Monday that attackers can exploit the bug in its Internet Explorer, used on hundreds of millions of computers, to infect the PC of somebody who visits a malicious website and then take control of the victim's computer. 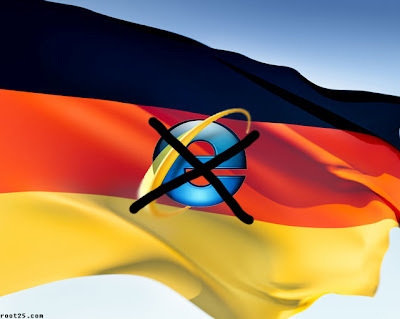 The German government's Federal Office for Information Security, or BSI, said it was aware of targeted attacks and that all that was needed was to lure Web surfers to a website where hackers had planted malicious software that exploited the bug.